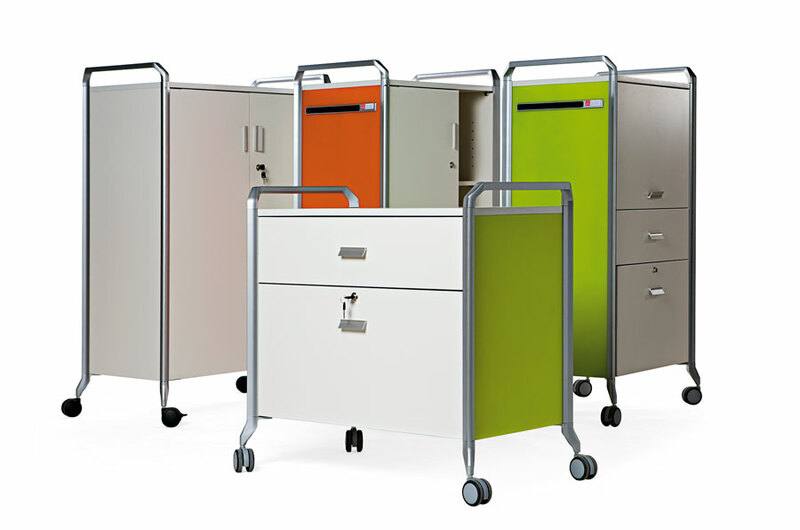 Cubic is a range of office archiving furniture whose symmetry offers optimum storage solutions and great ease of access. 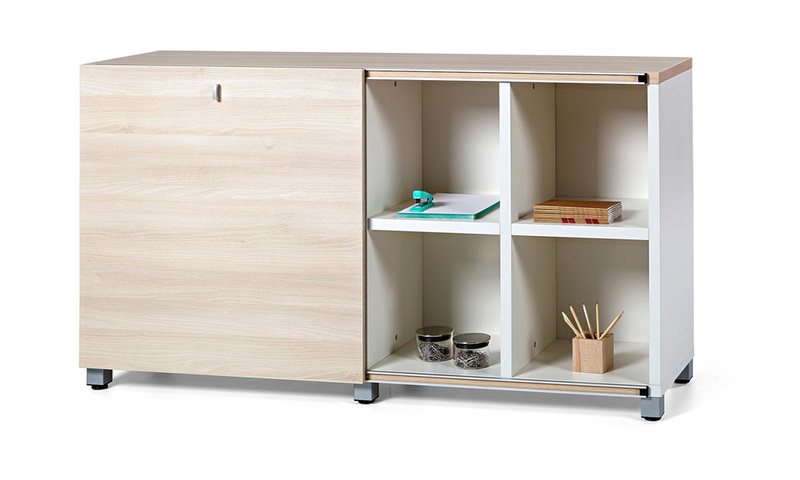 This MFC board storage unit is manufactured with simple square shape spaces, making it easy to integrate other modular systems. 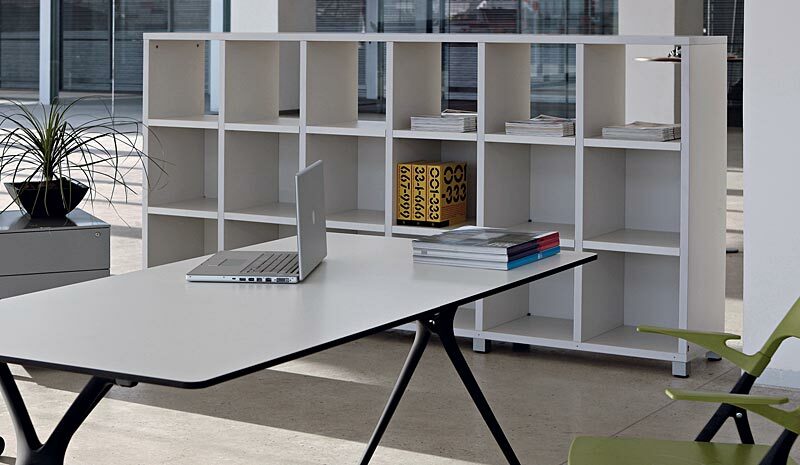 The product features a modern aesthetic and was designed with professional spaces and executive offices in mind. 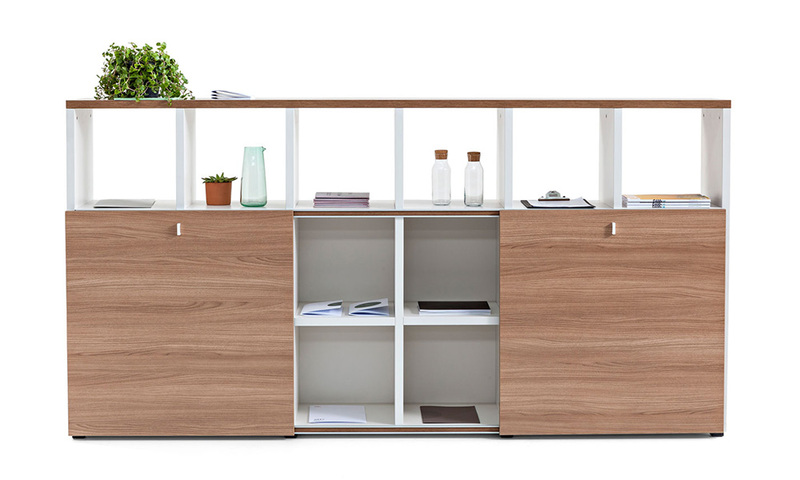 Optional feature include sliding doors in MCF or glass with an aluminium frame. Optional back MFC board 10 mm thickness. 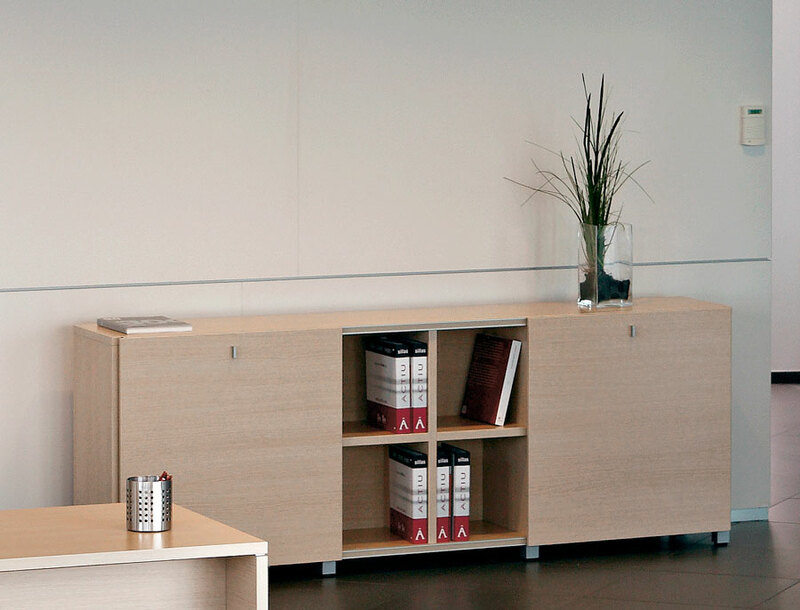 Optional security glass doors 4 mm thickness and anodized aluminium profile. Optional MFC doors 16 mm thickness. Zamak handle.